LOS ANGELES (March 29, 2018) – SAG Awards® Executive Producer Kathy Connell today announced the key deadlines and dates for the 25th Annual Screen Actors Guild Awards which will honor the outstanding film and television performances of 2018. The Actors® Silver Anniversary celebration of excellence will be simulcast live on TNT and TBS on Sunday, Jan. 27, 2019, at 8 p.m. (ET)/5 p.m. (PT). Submissions for nomination consideration for the 25th Annual Screen Actors Guild Awardswill open on Monday, July 30, 2018, at sagawards.org/submissions. With the actor’s permission, producers, studios/networks, agents, managers, or publicists may submit a performance from 2018 for consideration in a category of the actor’s choosing. Actors may also submit their own performances. Submissions may only be made online and will close on Monday, Oct. 22, 2018. Nominations for the 25th Annual Screen Actors Guild Awards will be announced on Wednesday, Dec. 12, 2018, carried live on tntdrama.com/sagawards, truTV.comandsagawards.org at 10 a.m. (ET) / 7 a.m. (PT). The Actor® Nominations also can be viewed via TNT’s Facebook, Twitter @TNTdrama and YouTube channels and TBS’s Facebook, Twitter @tbsnetwork and YouTube channels.  Once nominees are selected, all active members of SAG-AFTRA may cast votes to determine who will receive the coveted Actor® statuettes for this year’s outstanding performances. Media credential applications for the nominations announcement and ceremony open on Monday, Oct. 1, 2018. Publicists credential applications for the nominations announcement open on Monday, Nov. 5, 2018. Over its 25 years, the SAG Awards has become one of the awards season’s premier events, attended by a who’s who of film and television. Of the top industry honors presented to actors, only the SAG Awards are selected entirely by performers’ peers in SAG-AFTRA, which this year numbered 121,544 eligible voters. The SAG Awards was the first televised awards show to acknowledge the work of union members and the first to present awards to motion picture casts and television ensembles. The 25th Annual Screen Actors Guild Awards® presented by SAG-AFTRA with Screen Actors Guild Awards, LLC will be produced by Avalon Harbor Entertainment, Inc. and will be simulcast live on TNT and TBS on Sunday, Jan. 27, 2019, at 8 p.m. (ET) / 5 p.m. (PT). For more information about the SAG Awards®, SAG-AFTRA, TNT and TBS, visit sagawards.org/about. Thumbnails of the photos and graphics available for the 25th Annual Screen Actors Guild Awards are at sagawards.org/media-pr/photos-and-artwork.